Background tasks are crucial for any non-trivial web application so it’s no wonder that the landscape of queuing technologies is rapidly evolving. The latest entry is Octobot, a Java-based task queue worker from C. Scott Andreas designed to be reliable, easy to use, and powerful. Octobot uses best-of-breed tools for queuing, supporting AMQP/RabbitMQ, Beanstalk, and Redis (Pub/Sub) as backends out of the box. The architecture is extensible so additional backends can be added in the future. Octobot tasks are simply classes with a static run method which accept a JSON object. 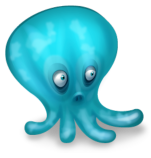 Octobot is designed for high throughput, heavy workloads, and ultra-low latency. Early benchmarks using AMQP and MongoDB lookups demonstrate, task execution actually improves as the JIT optimizes execution paths.